I hope you can offer some analysis of how and why some designers/artists mix elements from different periods so successfully and how we can do so in our own homes. By modern, I specifically have in mind contemporary furniture from B&B Italia, which I love, or even some of this year’s West Elm pieces, but mixing any furniture from the “modern period” you mention below with traditionally styled furniture would be helpful as no doubt the tips about proportion, shape, or color would be similar. For traditional, I am thinking of chairs and tables with turned legs, Lawson and English roll arm sofas, French bergeres and settees, Gustavian antiques or reproductions and even a few Victorian “brown” pieces, all of which are very pretty too. I think this sort of furnishings mix is probably what a lot of us end up with, over time. I am moving into a small federal period historic townhouse, and I not only appreciate the clean design of good contemporary furniture, but the proportions are better than many of the giant “traditional” pieces that I know you have discussed. Hence, my suggestion to my favorite design blogger! But the mixing of styles is a VAST subject. I mean, we’re talking ten volumes of coffee table books. Contemporary is largely the bloated stuff they make today. Okay, not all of it is. But too much is. And transitional is a meaningless term, IMO. It’s really contemporary. Or, if it’s well-done, classic contemporary. If it’s not traditional or modern and it’s made today, it’s contemporary. If a piece of furniture is not made in the time period that it looks like it is, then we call it “whateveritis-style” ie: Chippendale-style because Thomas Chippendale furniture was produced well over 200 years ago. As for traditional. Over the years I’ve shown clients this classic contemporary sofa (above); some see modern and some see traditional. It’s from TCS Designs,(no website) but they discontinued this frame a while back. But because of the simple monochromatic color scheme and minimal decor, the over-all effect is contemporary in feel. Added to that is just the right of contemporary and modern accent pieces. No matter what, you can always do a modern-style coffee/cocktail table. Always. Always. Always. Can we do it the other way around? For instance, here we have a classic Italian-style-modern sectional ala B&B Italia. Only this is the Andes sectional from West Elm for about 1/8th price. I’m not exaggerating. 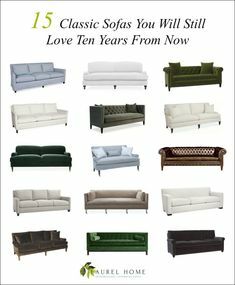 But that doesn’t mean that you can’t have traditional elements with the West Elm sofa. But this modern Oscarine lucite and brass coffee table from Anthropologie is a wonderful universal donor. You could mix this with anything. In addition to coffee tables are there other Universal elements for mixing modern and traditional furniture? I think it’s good to know the elements that can work in any decor, be it modern or traditional. But traditional lighting can also be cool in a modern room. But here’s the most important rule to know when mixing modern and traditional furniture. There is an art to it and when one starts putting formulas together, I think is when we get into trouble. And then the other consideration is if the room is formal or casual? See, there are thousands of possibilities. A rustic coffee table with turned legs and peeling paint is going to look silly with Italian modern furniture. Remember when I said there are no rules. Well, I lied. This one below is pretty solid. Architecture Aside. 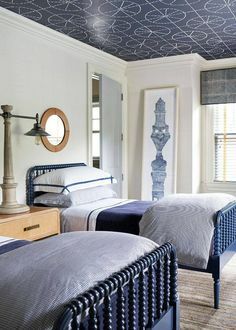 The room is either going to be predominantly modern or predominantly traditional– with only accents of the other style. This is one instance where being equitable is most likely going to result in a sucktastic room. Quite frankly, you can go to your local Salvation Army, load up a U-haul, throw it all in and it’ll be on the cover of next March’s Elle Decor. If you have a 1960s ranch home, the same home will probably look pretty tacky unless your Salvation Army is in the middle of Greenwich, Connecticut or some place like that. Leaving the architecture of the room off the table, let’s discuss what making the room predominantly one way or the other would look. Going back to the brownstone. It is decided that we are going mostly modern. If I were a consumer and didn’t have $150,000 to drop, I would head over to Anthropologie, West Elm, One King’s Lane and Jonathan Adler. If you don’t have one near you, you can shop online following the links. And actually, Anthro might end up being one-stop shopping. And that is because they have already curated their collection with an eclectic combo of modern, contemporary and traditional styles. And they’ve thrown in some exotic elements too. Yes, it’s true. They started out well over a decade ago with a tiny collection of decidedly BoHo furnishings. And yes, you can still definitely get the Boho look. If you don’t know what Boho means it’s short for Bohemian. But Bohemian with a hefty trust fund and a Maserati parked out front. Ya know? However, that was then and now, they have toned it down a nicely priced and HUGE line of eclectic furnishings. You want neutral? They have it. You want color? Oh man, they are the boss of color! And some very pretty, classic pieces. You can furnish the entire place with Anthro. And as a reminder above with the Timorous Beastieswallpaper, they have a fabulous collection of wallpapers and wall murals. West Elm has broadened their line to a really lovely and well-designed mid-century modern collection. It is pricier than previous collections, but it is still relatively affordable compared to the likes of the aforementioned B&B Italia. One King’s Lane as most of us know was bought out by Bed, Bath and Beyond. And it’s a little like saying that Ruth’s Chris was bought out by White Castle. I have purchased many things from OKL for my own home and occasionally for clients. And like Anthro, their collection is already curated to include every style–even moreso. And they have tons of beautiful inspiration photos as well as great articles. Oh, and also a wonderful collection of vintage and antique furnishings and art. Last is Jonathan Adler. I have also loved this line, but I debated including it in the list. And that is because they took away one of my favorite coffee tables and didn’t replace it with anything nearly as cool. True, the faux alligator is a bit much sometimes, but the lines and scale of this piece are perfect. However, they do have this way cool cocktail table which fulfills a necessary requirement of having some black in a room. For some rooms, it might be too much black, however. It also comes in white, orange, peacock blue and navy. Very versatile and there’s some storage in it too. Many of us want rooms that are both fresh and timeless. Now, that might seem like an oxymoron. But as I see it, a timeless room by definition, is always fresh. And I think that a room can be timeless whether it is mostly traditional or mostly modern. I think that the most successful rooms usually have some elements of both. Cool mix of modern and traditional furniture and accents. Studio McGee – always a great blend! and I adore their shop! Mark D. Sikes – Love everything he touches. Great modern Charlton Floor Lamp from Visual Comfort amongst beautiful traditional furnishings. And below is the promised gathering of universal furnishings– and some iconic classics. I found as I did this exercise, that it’s mostly modern and contemporary furnishings which are universal. While a crystal chandelier can look fabulous in a modern setting, it takes time to find just the right one sometimes. But I did add in a baroque mirror. I love to have a bit of fancy in a modern/contemporary room. Clicking on the images below will take you to the source. Phew! That was a lot and I could’ve written about 50 more posts like this. I know that I didn’t even come close to covering everything, but hopefully, y’all gleaned some new information. I certainly did. And that comes from really thinking about how things are done; I think it’s mostly something that I’ve done instinctively. Below is a graphic to pin for reference if you like. PS: If you’re looking for Father’s Day Gift Ideas please check out the curated collection I put together. Since there are so many sales on this weekend, this is an excellent time to get gifts, if you enjoy shopping online. I recently discovered your blog, and am so happy I did! What a wealth of information & advice. And I love your sense of humour & writing style too! Your topic for this post was very helpful. It’s something I’ve given a lot of thought to, but as another reader said, I could deal with specific examples, but I had not formulated any guiding principles. Thank you for sharing yours! I am interested to know your perspective on changing the style emphasis in different areas of the house. For example, having a predominately traditional living room & dining room that have modern accents, and in the same house having primarily modern with traditional accents in the kitchen, breakfast room & family room. Do you think it would make the house more interesting or schizophrenic? I am curious about your definition of Transitional. I would point to Barbara Barry’s style as an example of Transitional. But is her style one that you would define as Classic Contemporary? I would also be interested in the topic another reader suggested – how to decorate your house if you like everything. Seriously, this is something that paralyzes me. There are so many styles I like, but there is only so much you can mix before it’s a hot mess. How to choose the direction to take?! Thanks for such a sweet comment. This is just me, but I’m not fond of the term “transitional.” And the term “traditional” is often misconstrued into meaning something that is neither traditional or contemporary. I love this post! And I appreciate how difficult it was to write. It’s so hard to explain how things do not have to ‘match’ but can still go together. And as always, you give such excellent advice! My home is such a mix of thrift store or garage sale finds, antique heirlooms and the occasional West Elm or Anthropologie splurge. People have often asked me what style it is. Truthfully, I have no idea. That’s what I love about my home – it’s original and it’s me. My grandmother always told me to get what you love. Every time I visit her and walk through her peachy pink front door, I enter into her little world. It’s so much fun to spend time with her in a place that is full of her personality. Hi Laurel love your post this week. Keep them coming!! Hi Laurel- don’t shoot me if this is a question you’ve already answered, okay? That first sofa in the room you did and is discontinued. Have you found one that’s very similar? It’s such a great frame with the small rolled arm and legs. FYI on the Eames recliners: the real deal is on the small side. They’re not terribly comfortable to many men. No, I haven’t answered it yet and I wouldn’t shoot you; not for asking that, anyway. No, I haven’t found a substitute. Apparently, I’m the only one who sold it. I must’ve sold at least a dozen of that frame over the years. Thanks for that info. Here’s the link if anyone UK folks are interested. Thank you, thank you for this great post. I so appreciate the sources, the photos of rooms with successfully mixed styles (I plan to study them) and even a couple of good rules! I feel you have given us the tools to freshen up our homes in a more interesting way. What a great post Laurel! I know from experience, this is a hard topic to explain because it’s not quite about rules – some of the energy of a room with a mix is the contrast and pleasure of unexpected pairings. But done wrong a room can look accidental. Among many gems in here is your point that it’s best to weight a room toward traditional or modern rather than 50/50. Clearly true – not commonly pointed out! I was a dealer in antique and vintage modern furniture for some years (just closed). People asked often for mixing advice and I could help with specific examples but not many principles. Too bad I couldn’t point them to this piece! And your list of universal donors is really helpful too. Well, I’m immensely flattered by your last sentence! Thank you! A friend wrote me about a post idea and it’s a great one. I’m sure that I’ve touched on it and have dealt with it dozens of times over the years. Inherited furniture that the client NEEDS to keep. That’s almost always for sentimental reasons and I love that because of course, they are going to keep Granny’s Victorian settee, that got passed down to Mom and now the client in their newly renovated modern-to-the-hilt home. And I love it too because you can’t really be done with the house..there always be some rain-soaked princess(a painting?a lamp? a side table?) knocking at the door:) and you’ll let her in. Love all the sources (well I have my beef with West Elm but their lines are good, no question about it)..a bit sad to know that Bed Bath and Beyond bought OKL..I can’t quite explain why it saddens me, but why companies need to merge and become these giants over time? Oh I know why, but I’d rather they wouldn’t. 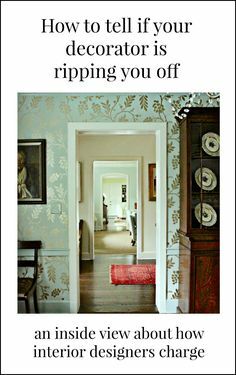 My rule of thumb though-never buy everything from one place even if you absolutely love it AND can afford it(which I can’t)-true, OKL and Anthropologie already have a very nicely curated, growing, wonderful mix put for you together..yet you don’t want to purchase your story at once. You want to write it..you want the process part too. I learned it at some point, and even though I was mad then then I can’t afford just to buy half the store I saw and loved-now I’m so happy because ultimately my house is happier for that. Ah, yes and bones matter. Tremendously. Some houses, all you really need is not to spoil whatever’s already there.. They are like some beautiful people. You can imagine them being anybody in any century-and they’ll be gorgeous in whatever costume and setting you put them, in your mind. Thank you Laurel for this article. I so much agree with you about the terminology and making sure the client and I have the same understanding. I recently read a book on colour. The colour info was excellent, BUT the section on styles was limited to 4. Traditional, Classic, Modern, Contemporary. Looking at the illustrations I got more and more confused, because there were items that I would call Classic and the author called it traditional? I also do not like to categories everything so much. I prefer to work with the items and see whether it works or not. Sometimes things work together beautifully although one did not expect it to work. It’s really true. It’s like a lot of different strong dialects for the same language, but much can be lost in the translation. Love this post. You could write a dozen more on this subject & it would never get old. I have always loved the look of the Eames molded chair. I’ve seen pictures of it mixed with all kinds of tables & it always looks so fresh & young. But the ones I’ve seen in stores look small & cheap. I could never imagine my 6′ husband sitting in one at our table. I’m not really sure about that. There is an armchair version of the tulip chair that looks bigger. I’ve never actually sat in one. That is so kind and very much appreciated! This is what I do now. No clients. No kids. No husband. I had never thought of it that way either, but as I was putting it all together, it occurred to me that there are pieces that wold look good in a variety of decors. Dear Laurel – it’s a rainy sunday morning here in Norway, so some of the farm chores can wait till I have read your blog. 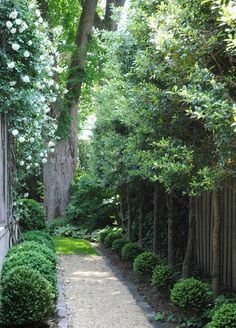 Which I stumbled over some months ago while surfing around for paint ideas for the farm house we are currently building. Thank you for your great work. Most of the decorating sites and magazines here are so heavily into modern scandinavian, that it often feels like looking at black and white pictures! After reading your blog I realized that my taste is much more colourful, and that I really like a mix of styles. I actually planned to ask you to do a blog post on how to furnish your house if you like ‘everything’ – hey presto, here it is! I really like that you take the practicalities of daily life into account. Such as having young children or pets around. We have both and, as said, live on a working horse farm. So I deal with questions like which furniture best withstands muddy jeans (including dark blue ones – rub-off hell! ), which flooring can withstand boot spikes, which coffee table is best suited to put your feet on (including dirty socks and bits of hay), and so on. Luckily we will get a master bedroom where things can be a little less robust. So I look forward to implementing some of your ideas there. Thank you so much for the lovely post! Yes, people first! Always, but geeezzz, maybe take the spiked boots off first? Maybe change out of the muddy clothes?